Open a bag of Fruitables treats and you will immediately smell the difference. 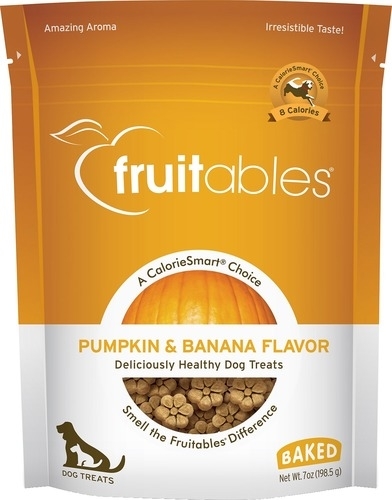 At Fruitables, they make treats that taste as good as they smell. Fresh from the ovens in their certified organic bakery, this recipe combines the flavors of fresh pumpkin, creamy bananas, and a touch of cinnamon into a delicious crunchy treat. 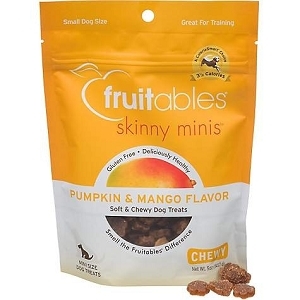 With less than 9 calories each, these treats are the perfect guilt-free indulgence for your lovable dog. 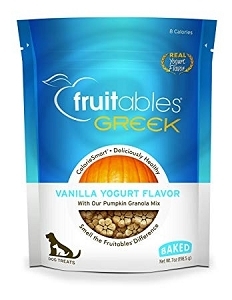 Fruitables treats come in different textures and a variety of flavors as broad as the rainbow - go ahead, explore the deliciously healthy world of Fruitables! Fresh from our ovens... a bakery favourite that combines the flavours of fresh pumpkin, creamy bananas, and a touch of cinnamon. A delicious healthy treat with less than 9 calories each - a perfect way to Love Life Together. 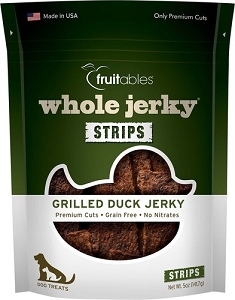 Recommended by Doggyfriend, excellent tiny treat for non-messy eating.